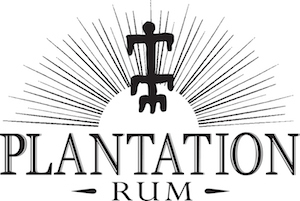 Notes: This Jamaica Plantation Rum was produced using long fermentations and pot still distillation – both somewhat unusual in the rum trade anymore, where produce it fast as you can and use a column still because it is easier and cheaper is the industry standard anymore sad to say. Aged for many years in Jamaica in its hot and humid climate, and although we don’t know what cask they used, it was probably a bourbon cask – since the market is always flooded with these low cost option barrels ( but very flavorful casks – the price is cheap because there are so many on the market not necessarily a reflection of quality or lack thereof). at some point when they were ready for market they were bought up by Cognac Ferrand shipped to Cognac Ferrand’s Château de Bonbonnet at their natural strength in order to preserve their richness of aroma and flavor ( not to mention to save space). First Impression: Actually a kind of heavy funky, smoky molasses base with hints of spice and fruit. Not a great nay, an almost alarming bouquet at first whiff out of the bottle. It settles down a bit after a few minutes as it opens up. Taste: Quite different from what you would expect from the initial bouquet, honey preserved bananas, fruit,minerals, smoke,molasses and spice. Drinks: More of a sipping rum to be enjoyed on its own. 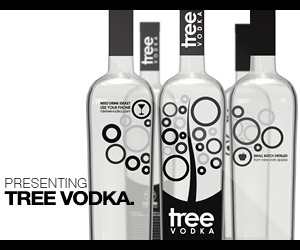 Bottle: Can’t comment as we only have a 200 ml sample bottle which looks nothing like the 750 ML or so we understand. 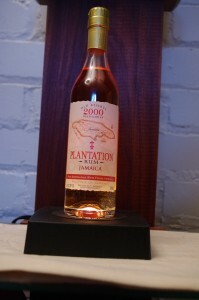 Other: An excellent example of a Jamaican rum. Final Thoughts: Should be considered a reference sample and something any serious rum collector/drinker should have along with all the Plantation series of rum. Think of them as a trip around the rum world without having to leave your own home ( or bar ).